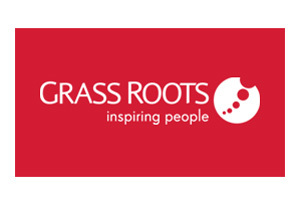 Grass Roots is tapping into tech frenzy by launching its Meetings Industry Report (MIR) as an app, enabling the previously static print report to display regularly updated information. When the app goes live next week, event planners will be able to download it for free to use on their iPhone, iPad, or Android devices; while a web-enabled version of the report will be accessible via desktop computers. It will give event planners access to hotel and venue information and market data from across the globe. At a press roundtable event held yesterday afternoon at London’s Four Seasons on Park Lane, Des McLaughlin, Grass Roots' managing director of venue procurement, sales director David Taylor and global supply chain director Alan Newton unveiled details of the report and its new format. Taylor and McLaughlin also talked of the impact of the London 2012 Olympics on their business, which has resulted in a number of key professional services clients relocating events from London to overseas, including one bank that moved its £5m spend from the UK to the US. The trio revealed some of the report’s key findings: in the last year, there was a 12% increase in day delegate rates (DDR) in the five-star hotel market in the South East, statistics denoting the region as the UK’s most buoyant for meetings and events. Conversely, the North West was the UK’s least healthy, experiencing a 13% drop in four-star DDRs. On the European mainland, Zurich showed a 30%-plus hike in five-star DDRs, Berlin a 10% rise, while Athens experienced over a 19% drop across five-star hotels. Further afield, Asia’s emerging markets were clearly driving hotel rate increases in key locations. Shanghai saw an average room rate (ARR) climb of 21%, while Singapore was the strongest in the midmarket, with an 11% increase. However, Japan was still suffering from the devastation reaped by the tsunami and saw a 6% fall in five-star ARRs. In North America, Boston experienced a 21% increase in average room rates, Washington was up 20% and Montreal up 34%. Newton said he felt the trend was driven by a characteristically greater level of optimism across the Atlantic compared with attitudes in Europe. "We started the MIR to endorse our credibility, as we wanted to support best practice," McLaughlin said. "This year, we thought we’d freshen it up. The first thing that’s different is that is an app. It shows the technology we can deliver, as it’s built by Grass Roots. It’s no longer a static book that sits on your desk." Hotel rates will be updated quarterly, while hotel and venue openings will be updated weekly. Taylor added that app’s dynamism would also mean that information could be adapted for different overseas markets to avoid a UK bias. The move to digitise the MIR saves the £80,000 cost of producing a paper report. Grass Roots’ venue procurement division specialises in the professional services market and annually handles around $350m of client spend. Last year it grew its revenue by around 30% and said it is potentially looking to expand into other European markets.